When buying a condo unit in a wood-frame building, should I expect any difference in regards to the acoustics? When replacing the carpet to a hard surface floor, should acoustic solutions be adapted? If yes, what should I be looking for? These are questions future and existing condo owners should ask themselves when considering living in wood-frame condo building. Navigating through this complex and often misguided field can be a challenge and even can compromise the peace of mind you are looking for. The nature of a wood-frame building is completely different than a concrete one and therefore requires a different approach. Wood-frame condos or apartment buildings often tend to have a bad reputation acoustically because they are built with much less mass and density than a concrete one. This would technically mean that these buildings will potentially transfer more airborne noises. But to compensate, builders typically choose to add 1 ½” of concrete topping to the assembly to create more mass and so avoid airborne noise transfer and limit flanking responsible for noise complaints. On the other hand, builders can now adopt innovative systems replacing the concrete topping while still maintaining and even providing better sound insulation. Often, condo owners are asked to provide data, for example FIIC rating, on an underlayment rather than on a whole assembly using that underlayment. An acoustic rating should always be associated with an assembly, not a product. Condo boards and management companies should always take into consideration the structure of the building when asking owners to provide data. Too often they are asking for a performance that could never be achieved with a hard surface floor because they assume all structures are made equal. Besides, it is not because some manufacturers choose to promote excessively high ratings on their underlayment that these performances are actually obtainable. The key is in the details, in the fine prints. Even though wood-frame condo buildings are technically subject to more noise transfer it is still possible to find the peace and quiet you are looking for. Some builders pay more attention to details and have sound insulation at heart. It is just a matter of asking questions and doing your due diligence. When proceeding with a renovation, it is mandatory to find the right acoustical membrane that is adapted and was tested in a wood-frame application. It is all about using the right product in the right place. 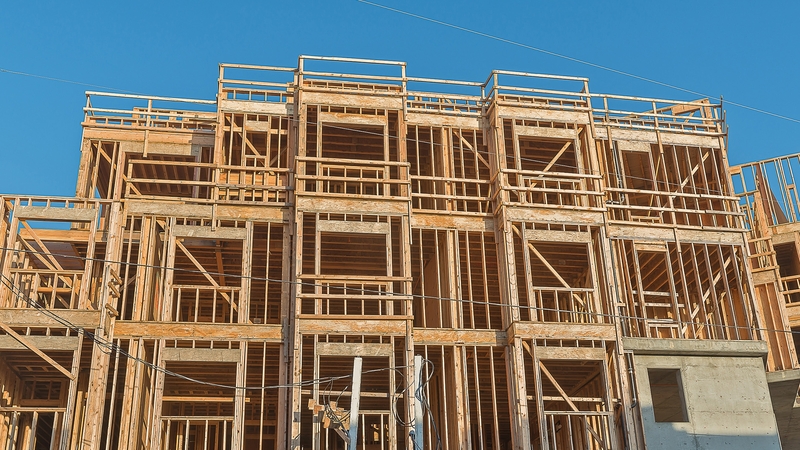 And finally, because a wood-frame building transfers noise differently than other types of buildings, condo boards and management companies should adjust their requirements accordingly. This approach could immediately lower the chances of complaints. Acoustics is a complex science filled with grey areas but the good news is, some people are there to guide you through the process of making the right decisions so we can all enjoy the comfort we deserve.